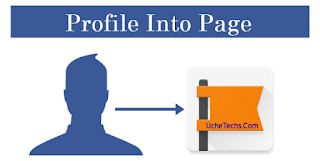 Hi guys, today we have provided a working method to Convert your Personal Profile to a Business Page or Facebook Page. Many business companies still use their profile with a huge number of friends, so if you still want those friends to be among your followers, then this article is for you. 1. A Fan Page will be made public and available to Billions of Facebook users. 2. A Facebook page is totally free for now, so take your chances and create one. 4. You can schedule any post to post at any time. 5. Customize your Facebook page to match your users and attract them. 7. Run Facebook Ads to reach new customers and users. It is important for you to know that converting your Facebook Profile to Facebook Business or Fan Page is permanent and can't be reversed. So it is vital you make meditation and plans before migrating. Now, let's now see the v1 of how we can permanently Convert our Existing Facebook Profile based on our Profile to a Facebook page. Now, all your Facebook Friends will become likes and followers. This is the basic and easiest method to convert Facebook Profile to the page. Pardon me for not using screenshots below. 3. Now, click on "Start My Archive" option and click it again ones it pops-up. 4. After the pop-up, hit Ok.
5. Now, you will be asked to re-enter your Facebook Profile password to continue. So do that and click 'Continue'. 6. Now click on Download Archive option which will appear on your screen to start downloading your data. 7. Then, go to help center and search for 'convert profile to page'. There will be an available topic which says "how to convert my profile to a page". Now, tap "begin here'. 8. You will be directed to the page section to choose which kind of page you will like your profile to convert to. This is one way to Change your Facebook Profile to Facebook Page 2018. We shall review another method soon. Thanks for coming and comment below for questions. Nice post.....thanks for the update. i just subscribed to your newsfeed for latest update.